This December the Art Students League celebrates its 125th year in its landmark building, which was designed in a French-Renaissance style by architect Henry Janeway Hardenbergh and opened in 1892. The founding of the building, and its expansive ground floor Vanderbilt Gallery, was initiated by landscape painter Howard Russell Butler. The unique story of collaboration between artists such as Butler and philanthropists such as George Washington Vanderbilt II, which brought the project to fruition, is explored in A Landmark Exhibition: An Alliance of Artists and Patrons on 57th Street (November 7 – December 4). An important subplot of this Gilded Age story of institution building is the Art Students League’s role not only in introducing Impressionism to New York City but also in pioneering the Midtown gallery district. 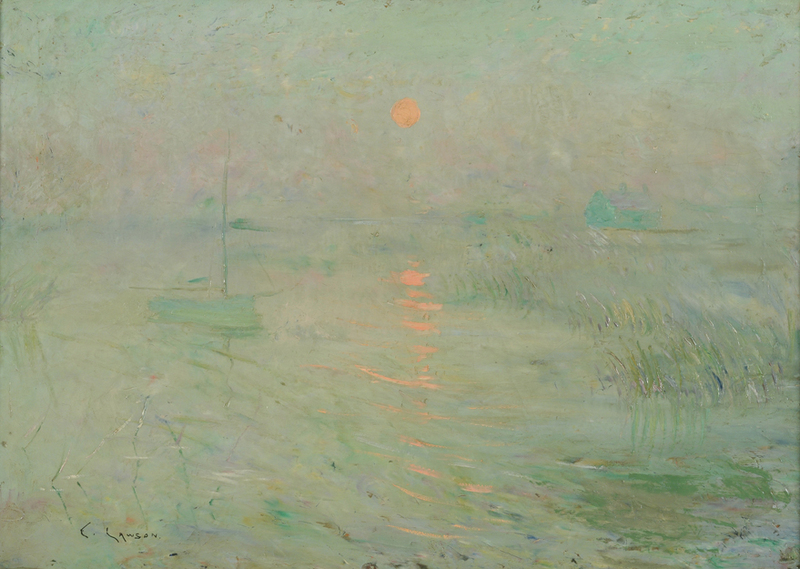 Ernest Lawson, Sunrise, ca. 1892, oil on canvas, 20 x 28 in. Permanent Collection of the Art Students League of New York. The League’s contribution to the development of American Impressionism began in 1878, only four years after the First Impressionist Exhibition in Paris, with its decision to hire Munich-trained painter William Merritt Chase. Chase developed a distinctive style that combined the dark, dense colors and realistic subjects of the Munich School with the loose brushwork of French Impressionism. Since many of the American painters including John Singer Sargent, James McNeil Whistler, and Mary Cassatt were expatriates, by the mid-1880s, Chase was the foremost Impressionist painter working in America. At this time, the League added several other prominent American Impressionists to its faculty. 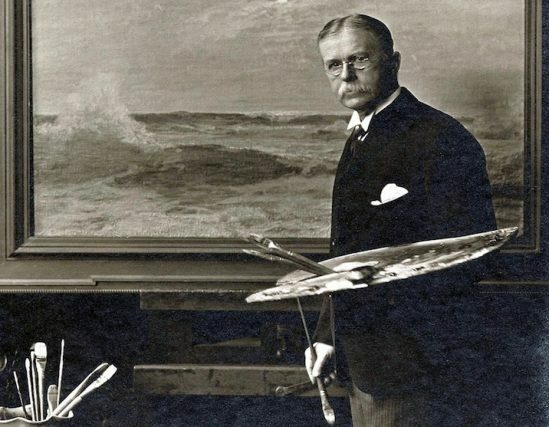 The new instructors included James Carroll Beckwith, who had worked with Sargent in Paris, Julian Alden Weir, who was experimenting with Impressionist techniques in landscape paintings of the region surrounding his Connecticut home, and John Henry Twachtman, a close colleague of both Chase and Weir. 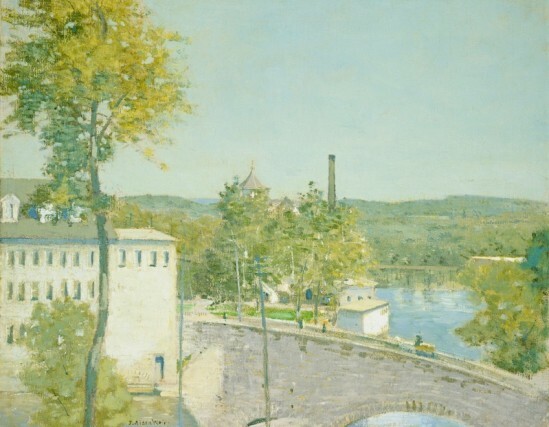 In 1898 Weir and Twachtman, in collaboration with Childe Hassam, founded the Ten American Painters, an organization devoted to promoting exhibition opportunities for the American Impressionists. They also established a summer artist colony in Cos Cob that many League students, including Ernest Lawson and Allen Tucker, attended in the early 1890s. Paintings such as Lawson’s Sunrise (1892) and Tucker’s October Cornfields (1906) reveal Monet’s influence as filtered through the teaching of Weir and Twachtman. 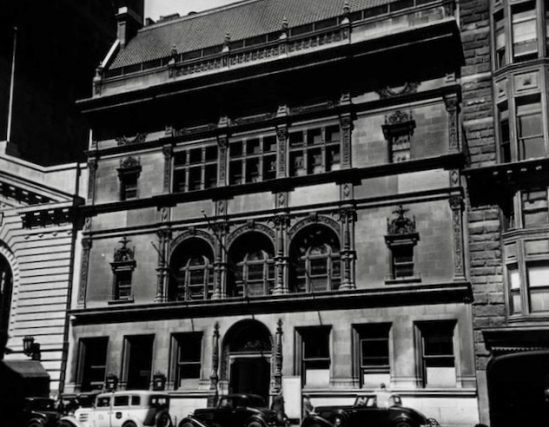 When the Vanderbilt Gallery opened in 1893, it was the first art gallery on 57th Street. Modeled after the Galerie Georges Petit in Paris, it was one of the grandest venues for viewing art in Manhattan and, along with Carnegie Hall, established 57th Street as a cultural center. One of the first major art galleries to follow the League uptown was Durand-Ruel, owned by the famous Impressionist dealer who was instrumental in popularizing the revolutionary style among both French and American audiences. Beginning in the 1880s, the Durand-Ruel family operated a small gallery on Fifth Avenue to market Impressionist paintings to New York collectors. Seeking a more prominent space, in 1910 Durand-Ruel commissioned Carrère & Hastings, the renowned Beaux-Arts architectural rm that had designed the New York Public Library, to create an eight-story building with a ground oor art gallery at 12 East 57th Street. The gallery opened in 1913 and that December presented an exhibition of works by Manet, Monet, Pissarro, Renoir, Sisley, and André D’Espagnat. In 1925, Knoedler Galleries, one of the most prestigious New York dealers, moved uptown as well. Their new space at 14 East 57th Street was located next to Durand-Ruel and further solidi ed the neighborhood as a hub of twentieth-century American art.